Objective of Learning and Applying Rules is to assess memory retention, concentration and psychomotorics in an endurance test that requires its processors to assign symbols or numbers to their respective counterparts in compliance with preset rules. The tests starts with a rule set. During each run reference symbols are inserted in consecutive order. Each reference symbol is to be assigned to one complement symbol in compliance with governing rule. 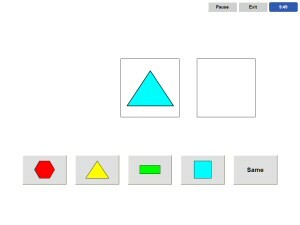 Possible complement symbols are inserted in a multiple choice set. The rule may be altered or amended during the test.